There are different kinds of events and festivals that happen all over the globe which celebrate different things. There are food festivals wherein people share their culture by sharing the food that is tied to it. There are also art festivals that also share the culture of a people through different mediums of art. Music festivals share culture as well and this is why they are definitely included in this list. In Japan, there are quite a few notable music festivals that also celebrate different things. There are the likes of the Fuji Rock Festival, which celebrates and promotes environmental awareness. In the case of the Rock in Japan Festival, which is the biggest music festival in Japan in terms of attendance, it is to simply come together and enjoy the different types of Rock and Alternative Music from around the globe. The Fuji Rock Festival started in the year of 1997. The Rising Sun Rock Festival in Ezo started in the year 1999. Both these music festivals shook the world with their immediate success and it really showed people how big of a demand there was for such events. With this said, it isn’t surprising that other people want to start something like that as well and in the case of the Rock In Japan Festival, which started in the year of 2000, it was exactly like that. This is not to say that the Rock in Japan Festival was merely a mimic or a copy of the successful music festivals mentioned above. Each of these events actually promotes different things. For example, the Fuji Rock Festival promotes environmental awareness while the Rising Sun Rock Festival promotes the development and appreciation of local Japanese Rock. For the Rock in Japan Festival, the goal is a bit simpler because it was established to create an event wherein the lovers of the genres of Rock and Alternative Music can be one in enjoying and embracing the moments and the vibes that these events give to the fans. When it started in 2000, it was just a 2-day event that had 16 artists and an astounding attendance of about 60,500 people in total. The artists that played on the first day of this pioneering event were Air, Husking Bee, Kuri, Elephant Kashimi, Sherbets, Sugar Soul, Dragon Ash, Rappa Ireya, Zeebra. As for the second day, it was the likes of Number Girl, King Brothers, Spitz, The Yellow Monkey, Ajico, Nakamura Kazuyoshi, and Okuda Tamio that graced the stage with their talent and music. This first Rock in Japan Festival was held in Hitchihama Beach Park which is found in Hitachinaka, Ibaraki and it is still used as the venue for this music festival once and a while because it switches venues between this establishment and the nearby Hitachi Seaside Park. Unfortunately, the first Rock in Japan Festival was cut short due to bad weather but the people saw enough to still want a second one in the coming year. It progressed quickly as the number of artists doubled in number along with a tremendous increase in attendance as well. It also immediately went from a 2-day event into a 3-day event in the following year and considering that the first festival didn’t even end completely, this was a surprising yet wonderful turn of events for the organizers of this festival. This growth and trend continued on throughout the years and by the time that the 2012 Rock in Japan Festival was finished, this festival was already accommodating over 170,000 people and over 120 artists from all over the globe which included the likes of Touch the Walls, Orange Range, Tortoise Matsumoto, and Mao Abe. Despite the tremendous growth this festival has experienced, the 2013 Rock in Japan Festival, which was held from August 2 to August 4 of that year, proved that there was still more room and potential to grow. During this particular event, there were 155 artists that graced the stage. To mention some of them, there were the likes of Mongol 800, Kyary Pamyu Pamyu, 9 mm Parabellum Bullet, Flower Flower, DJ Booth Passpo, and many other great acts that over 175,000 people in total went crazy for. 2014 was the year that this event evolved into something even bigger than what anyone could have imagined it to be. All the other music festivals in Japan go for, at most, 3 days and during this year’s Rock in Japan Festival, they changed the format of the festival from being a 3-day festival to being a 2-weekend festival. Changing the format this drastically could have hurt them if people didn’t go on the second 2 weekend of performances but amazingly, this wasn’t the case. 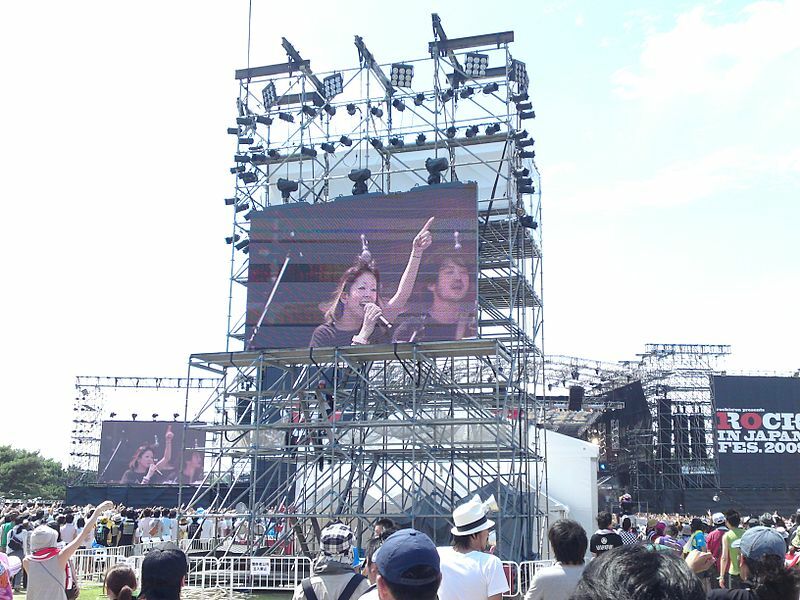 They held this Rock in Japan Festival during the weekends of August 2-3 and August 9-10. Since it was a longer festival, they were able to book over 200 artists who were supported and stunned to see an audience of nearly 250,000 people. In short, it was an absolute success and it has been a 2-weekend long event since that year. 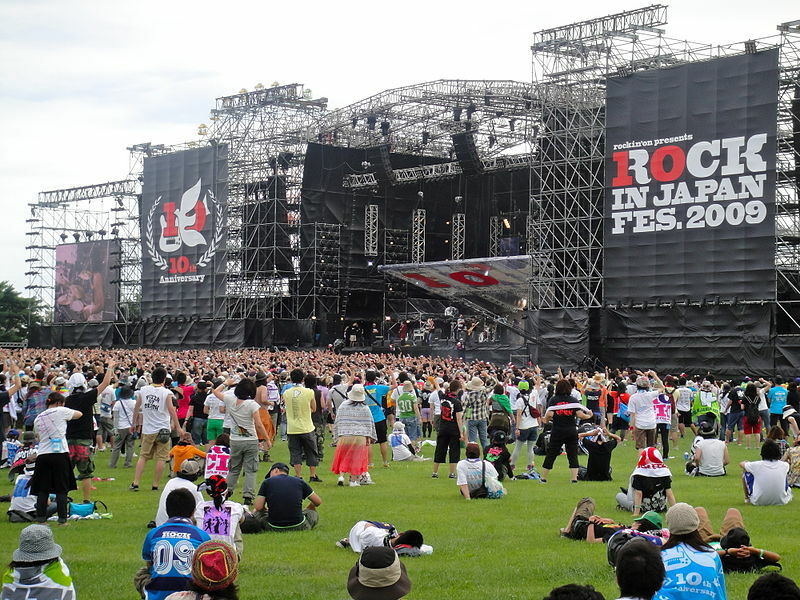 The Rock in Japan Festival of 2015 marked the 15th year anniversary of this prestigious event. As mentioned earlier, since the change made in 2014, the event retained its length at 2-weekends and the attendance as well as the number of artists have not dipped since then. During the 2015 festival, they made use of the stages called the Grass Stage, Lake Stage, Sound of Forest, Park Stage, Wing Tent, and Buzz Stage. This made it easier for the event to let all artists like the Machida Yasunori Project, Scandal, and Buzz the Bears play without rushing and it also let the goers pick which artists they would want to catch. The 2016 festival was held on August 6-7 and 13-14 and despite it adding nothing new to the program, the people were still extremely satisfied with the event. The recorded attendance for this event was 270,000 people with exactly 205 artists playing throughout the span of 4 days. There were many repeat performances from the previous years but the goers took this as more of a good thing than a bad thing because those artists were amazing and that is probably why they were booked once again. 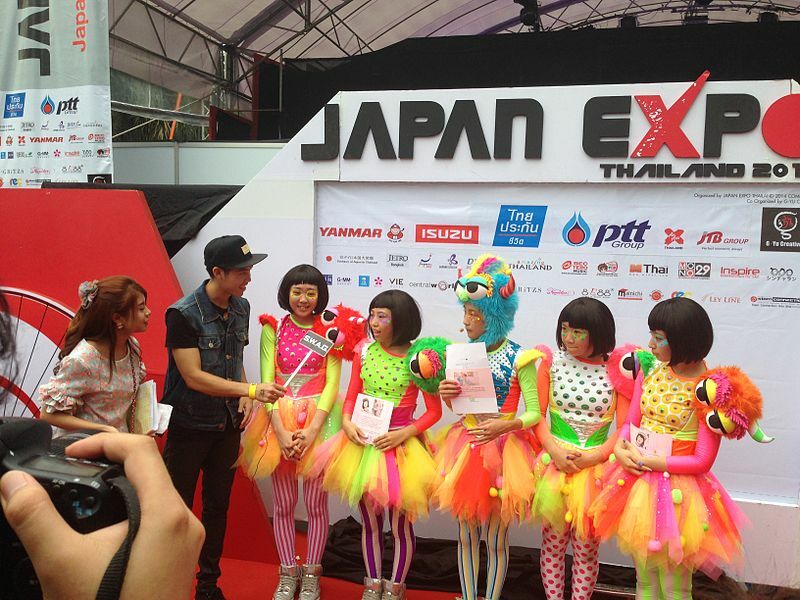 To mention some, there are the likes of The Oral Cigarette, Base Ball Bear, and even Tempura Kidz. It might not have added anything but due to the success of this event, it was obvious that the Rock in Japan festival had become a staple in music festivals in Japan. In 2017, practically the same stages were used but with some minor changes. These changes included the change of name of the Wing Tent to the Wing Stage and the addition of a stage called the Hillside Stage. There were fewer artists booked for this event as compared to the previous year but amazingly enough, the total attendance still improved from the prior year as well. From tallying a total of 270,000 people in 2016, the tally for 2017 was at an astounding 274,000. Some people might find that difference of 4000 people to be a small deal but if you take into account the income those 4000 addition ticket sales would get you, you’ll understand that it does, in fact, make all the difference in the world. Rock in Japan Festival of 2018 which is held throughout the weekends of August 4-5 and 11-12. The cast artists are Aioi, Aqua Times, Rain Parade, Asian Kung-fu Generation, Ash Da Hero, Amatsuki-Amatsuki, Ivy to Fraudulent Game, New School Leaders, Ayumi Gravel, Acid Man, Mao Abe, and Anjulm. From this set of artists alone, you can already tell that the Rock in Japan Festival has definitely grown to accommodate more than just the Rock and Alternative Music genres. They certainly now are open to all kinds of music that their goers would love to listen and be exposed to. 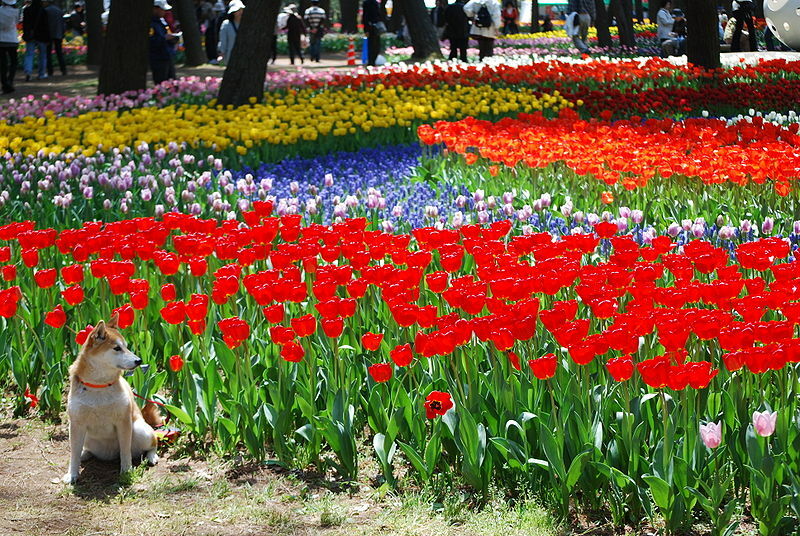 This time around the venue for the festival will be in the State-run Hitachima Park and will be sponsored by Tokyo FM. The same rules apply to this event like how storms will definitely stop the event if needed. Aside from this rule, you should also know that diving or crowd surfing is strictly prohibited in this event primarily for the safety of the artist and the fans. Since music is for all ages, admission to this event is, as always, free for children under 6 years old but they must be with a guardian that has a ticket to the event. There are many more rules and regulations that you should be aware of before going to this music festival which will really help you to stay out of trouble so take time to check them out on their official website which is “rjifes.jp”. Don’t even try to look for these details in Wikipedia because they will surely not be on that site. Other important details you should know if you want to go to this festival are the ones about the tickets. You can avail of a day pass if you want and that type of ticket will cost you 14,000 yen. It is the same day price for any day. If you get the ticket that lets you attend all four days, however, that will cost you 44,000 yen. On the slight chance you will be using a vehicle to get to the event, you should note that there are special admission tickets for these situations so that you will have a guaranteed parking space for your vehicle near the festival grounds. A day ticket with parking will cost 15,500 yen while a 4-day pass with parking will cost 50,000 yen. If you plan to park a car there for the span of the entire event, you may also opt to just camp to save money on gas going back and forth between the weekend days. With all these information about the Rock in Japan Festival at your disposal, you probably have already realized that if you are looking for a music festival to go to in Japan, this one should definitely be one that reaches the top of your list. It has been going on for nearly 2 decades now and it has just gotten better and better throughout the years. With the amount of support that exists for this festival, it wouldn’t be shocking to find out that it has been extended for the duration of the entire month of August when the time comes. Until then, don’t let yourself miss out on the historic rock moments that happen on these stages and book your tickets now.